Amazon is testing out a new subscription service, which it hopes will be the Spotify of books. 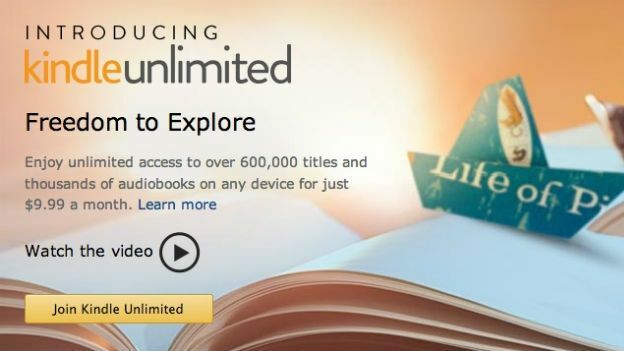 Amazon's new Kindle Unlimited service is said to cost $10 a month. Subscribers will have unlimited access to ebooks and audiobooks, just like Spotify subscribers have with music. Details of the service emerged after Amazon accidentally posted details of the service online. The page quickly disappeared after details were picked up in the media. Amazon has been rumoured to be considering a subscription based digital book service for some time now. Currently, only 638,416 titles are available on the service. Even more worrying is that none of the big five publishers are taking part in the service. It could be Amazon is running the service as a proof of concept for those companies. It isn't that they are adverse to the idea. Simon & Schuster and HarperCollins are both working with rivals Scribd and Oyster. While there was no indication otherwise, it could be that Amazon will bundle this service in with its existing Prime account. We'll keep our ears and eyes open for any more news about Amazon's Kindle Unlimited service.